Boy, what an exciting week this was, as if every day was Friday! Jokes aside, we brought you plenty of interesting news over the past several days, and here are the ones that stood out the most. 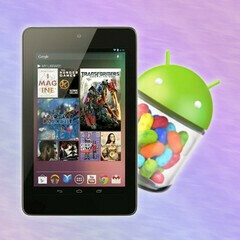 Without a doubt, the announcements of the Google Nexus 7 tablet and Android 4.1 Jelly Bean were the week's top highlights. Google unveiled its cretions during the I/O 2012 conference, which we kept a close eye on. Yet while spirits were high over at the Googleplex, RIM presented its not-so-optimistic financial results. The Canadian tech giant is not expected to release any exciting devices until early 2013. Jun 27, 2012, 11:56 AM, by Victor H.
Jun 27, 2012, 12:30 PM, by Nick T.
Jun 27, 2012, 12:51 PM, by Daniel P.
Jun 27, 2012, 1:40 PM, by Victor H.
Jun 27, 2012, 1:57 PM, by Alan F.
Jun 28, 2012, 12:31 PM, by Scott H.
Jun 28, 2012, 8:04 PM, by Alan F.
First BlackBerry 10 devices emerge: RIM introducing L-series in September, N-series in Q1 2013? Jun 25, 2012, 9:18 AM, by Victor H.
Jun 25, 2012, 12:16 PM, by Alan F.
Jun 25, 2012, 2:23 PM, by Scott H.
Jun 26, 2012, 9:51 PM, by Alan F.
My favorties stories of the week are the injunction on the Galaxy tab and the preliminary ban on the Nexus.